Computer vision techniques have been used for the automation of processes in the agricultural sector due to the benefits obtained such as effectiveness and quality. A clear example is the analysis of cocoa beans quality. The increasing interest of computer vision in this area calls for a clear, systematic overview. 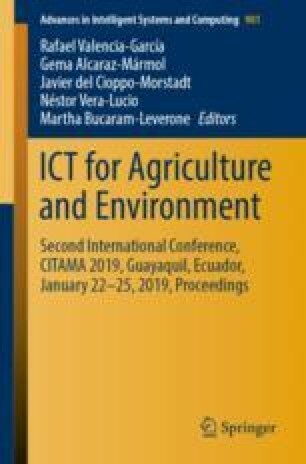 In this sense, we present a systematic literature review (SLR) of computer vision algorithms to determine the quality of fermented cocoa in a six-year period: from 2013–2018. The aim of this review is to identify the techniques or computer vision algorithms used to assess fermentation index of cocoa beans for quality control, as well, the main physical and chemical characteristics of the cocoa beans identified through the computer vision algorithms. The results show that the PLS (Partial Least-Squares) algorithm is the most used for the classification of images in a statistical approach. Also, color is the physical parameter that is commonly identified through artificial vision algorithms. Meanwhile, Fat and pH are the chemical parameters most identified by FT-NIR (Fourier transform near-infrared) technology in conjunction with the chemometric technique.